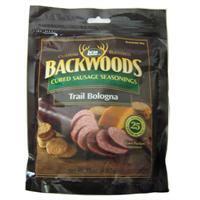 Spicier than Summer Sausage this coarse ground bologna is very popular among hunters. 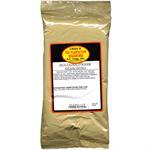 May be used to season wild game or domestic meat or a combo of both. The final mix of your meat should have a ratio of about 20% fat to 80% lean..
To make ring bologna stuff seasoned meat mixture into fibrous or natural casings. 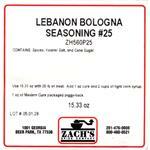 Place in preheated oven or smokehouse at 170 degrees until internal temperature reaches 165 degrees. 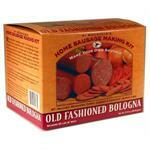 To make log bologna roll seasoned meat mixture into rolls 2"dia. x about 10" long. Cook in preheated oven at 300 degrees for about 1 hour or until internal temperature reaches 165 degrees.